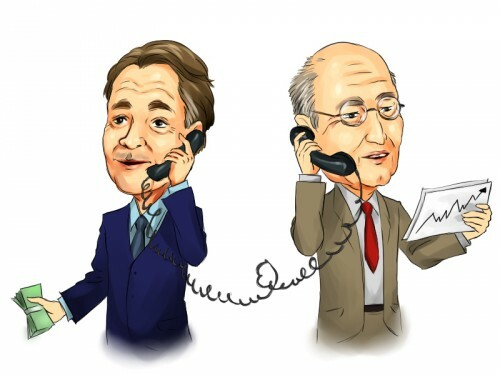 Insider trading has been extensively studied by scholars over the last decades, as finding a tool allowing one to consistently beat the broader market would be worth quite a lot of money. Several studies have found that insiders can earn abnormal returns of up to 30%, which might actually represent a strong argument for tracking insider trading activity. Considering the evidence demonstrating that non-insiders could also earn abnormal returns by following insiders’ purchases, we identified three companies that have seen a large volume of such moves recently: Third Point Reinsurance Ltd. (NYSE:TPRE), H&E Equipment Services Inc. (NASDAQ:HEES), and National Health Investors Inc. (NYSE:NHI). Let’s now look into Third Point Reinsurance Ltd. (NYSE:TPRE), which is one of the stocks insiders have been loading up on recently. John R. Berger, who currently serves as Chairman and Chief Executive Officer of the company, purchased 100,000 shares at prices in the range of $13.95 to $14.13, augmenting his stake to 309,881 shares. The shares of Third Point lost slightly over 2% since the beginning of the current year. Third Point Reinsurance, a provider of specialty property and casualty reinsurance products around the world, recently posted its financial results for the second quarter of 2015. The company reported net income of $15.7 million or $0.15 per diluted share for the quarter, compared to $31.3 million or $0.29 per share reported in the same quarter a year ago. Third Point has been successful in building its reinsurance platform in the United States, which delivered significant growth in premiums during the latest quarter. Brian Ashfor-Russell and Tim Woolley’s Polar Capital is one of the hedge funds within our database that is bullish on Third Point Reinsurance Ltd. (NYSE:TPRE), holding a position of 935,000 shares as of June 30.